“Read. As much as you can. As deeply and widely and nourishingly and ­irritatingly as you can. And the good things will make you remember them, so you won’t need to take notes.” Al Kennedy. Second only to the writer’s maxim “Writer’s Write” comes this one – “Writers Read”. It’s easy to understand – we often come to our writing dream after years of reading for pleasure. Like artists who visit galleries, many of us spent childhoods as avid readers and spend a lot of time in book stores:- selecting, and breathing in the smell of crisp new pages. Unfortunately I sometimes read some new writers saying that they don’t enjoy or find time for reading. I can understand that a little in our world of so much noise, and where free ebooks are offered as marketing devices so that our To-Read lists are huge mountains, not piles. I have that problem too. But it seems sad that those people are giving up the most important (and cheap) tool of all in improving our writing – so many books contain the blueprints to structure, characterization, plotting, emotions, dialog, voice, knowledge and our craft. I also question the credibility of somebody who writes (and expects people to buy their work, perhaps) without reading. With most Western countries now having national reading challenges and events to support our younger generations into reading more, as writers we also need to support fellow writers in our own core habits, and provide that example for our kids. “Read widely and with discrimination. Bad writing is contagious.” PD James. Now comes the punch. 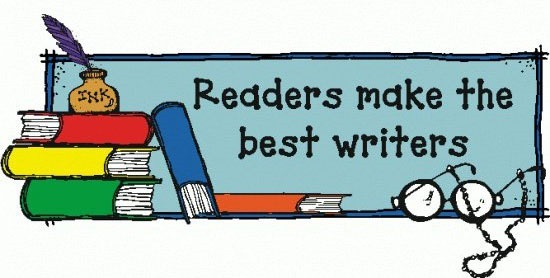 Reading does not make you a better writer. Only writing can do that. Writing and more writing. Just like a painter – if an aspiring artist looks at pretty paintings in the gallery all day long, he doesn’t suddenly become an artist. He has to go look at the paintings he admires again, and more critically, work out where the brush strokes went, how the artist used light, what emotions they tried to invoke, what they were really saying between the strokes. Then he has to go and find his own canvas, his own paints, and his own story, and try to paint it. Then paint it a bit better. It’s the same with reading. Reading alone will not make you a better writer. Reading critically and practicing writing, will. As writers, when reading, we must stay aware. Rather than letting ourselves be totally absorbed in a good book, we need to read for form and content, watch how the writer does what he does, and how we are reacting to it. Books (pages, posts…) are our products, and also our tools for learning and improving. Not every item must be read as a writer. But look out for works that capture your imagination, and those that don’t. Why? For those in between – ask yourself how you might learn from them, what you would have done differently, better? Have a reading time and trigger. As with your writing habit, set a regular reading time each day, and have a trigger for it. A trigger can be a place, time, alarm, or certain event. Take your reading with you on the road. I do a lot of reading from my iPAD, while waiting for my daughter to finish her swimming lessons, for instance. I also read over lunch, and I read blog posts etc at particular times. Choose some inspiring reading – Choose from the award winners, bestsellers and classics. Good work inspires us to work and write in a similar vein. Some authors such as Hunter S. Thompson spent much time simply copying down the works of great masters. Don’t read to accomplish anything – like reading a novel you aren’t enjoying just to get to the end, or reading because you were given the book by an author friend hoping for a review. Read for the sake of reading only. Feel free to put down that awful book and not finish it, once you’ve analysed it. Now, with ebooks and free-books, many of us have huge to-read lists. be aware of words and how they work, or when they don’t work; aware of structure, phrases, content, well-roundness, plot sense, character-sense. if you find problems with what you are reading, don’t dismiss the work until you’ve worked through how you would fix it, what parts you would keep, what would be cut? Read a lot from inside your genre, and outside of it. Expand your reading and this may break out your writing also. Keep a Reading Log – choose any method to suit – a beautiful journal, an online reading site such as LibraryThing or GoodReads, an app, a Word document. Choose some system for notating your reading (a rating system, your thoughts, date etc). The Guardian UK ‘1000 novels everyone must read’ provides us with a large to-read list to sink into. Some Writer quotes on reading. The Term “X-Ray Reading” comes from Roy Clarke’s famous Poynter Institute Writing Tools posts (X-Ray Reading was Tool # 41)which is no longer available online, but you can find a PDF with some of these sold at Scribd. The Good Writing / Good Reading chart is a Jessica Hagy chart from her site, Indexed.